Three days of discussions, Nobel Peace Laureates from all over the world, twenty youth workshops, a few thousand participants and the winner of the Peace Summit Award – Sharon Stone. On Wednesday, the 13th World Summit of Nobel Peace Laureates officially came to an end. This year’s Summit was held in Warsaw between 21 and 23 October. The event was attended by such prominent guests as former Polish President Lech Wałęsa, former USSR President Mikhail Gorbachev, former President of South Africa Frederik Willem de Klerk, Iranian lawyer Shirin Ebadi, Irish peace activists Betty Williams and Mairead Corrigan, Muhammad Yunus, originator of the concept of microcredit as well as representatives of Nobel Peace Prize awarded organisations. A special guest of the Summit was Samia Nkrumah, social activist and daughter of the first Ghana’s President. During the Summit debates Nobel Peace Laureates talked about the most topical issues related to peace, democracy and human rights. The themes raised at official meetings were subsequently followed up during the afternoon youth workshops held as part of the Civic Academy, a recurring project of the Lech Wałęsa Institute.  The last day of the Summit featured an official ceremony presenting the Peace Summit Award. Since 1999, the Award has been annually bestowed to high-profile cultural or entertainment personalities who actively promote peace and act to respond to problems of the modern world. This year’s Peace Summit Award was presented to the actress Sharon Stone for her “activities that brought solidarity and new hope to the millions of people who have fought and are fighting against the tragedy of HIV/AIDS”. On the final day of the three-day conference, Presidents De Klerk and Wałęsa announced that the next year’s World Summit of Nobel Peace Laureates will take place in Cape Town, South Africa.